After reading my weekly newsletter-blog, or browsing my website, you may wonder if The Box Theory™ Way is right for you—whether you should make the leap. That’s a fair question, and I want you to take an informed investment decision. So, let’s determine if Box Theory™ Software is a good fit with your organization. Since 2004, and a cost of nearly half-million dollars, I have been on a personal mission to bring the business process management (BPM) strategies of Fortune 500 companies to the world of small business. These powerful methods are available in my unique software product, Box Theory™ Gold. Box Theory™ small-business software will enable you to create an organization blueprint and then build high-performance business systems and processes to support the vision, strategy and goals of your organization. I have no doubt that one day most successful companies will be built upon these proven principles and techniques. Those that catch the vision early will have a significant advantage. 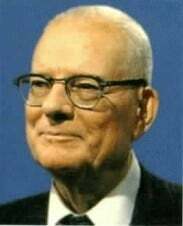 Do You Need Box Theory™ Software? Are you a small to medium-size business? Do you rely on the effective interaction of people and processes to produce high-quality goods and services, delivered fast, and at the lowest possible price? Are you a person who cares about details and wants a smooth-running operation, even when you’re not around? Do you envision a results-oriented company with a culture of discipline and excellence, and where people love coming to work and perform at their very best? Is your business overly dependent on you, requiring constant hands-on involvement? Do you want to become an absentee owner, replicate your money-making operation in other markets, or create long-term value that will bring top-dollar when you decide to sell? Do you have a seat-of-the-pants operation with unnecessary mistakes, lost time and rework, where inefficiencies are costing you money and making it difficult to compete? Are you frustrated by disorganization, under-performing people, weak sales and growth, customer dissatisfaction, poor cash flow, or low profit margins? Would fixing broken business systems and processes put more money into the pocket of YOU and your stakeholders? Are you interested in learning powerful business management strategies used by Fortune 500 companies—the basics of Six Sigma, Lean Thinking, The Theory of Constraints, Balanced Scorecard, and SWOT Analysis? 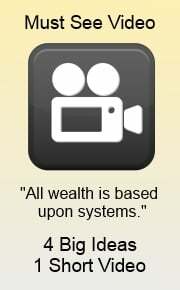 Would you be even more interested in a methodology—The Box Theory™ Way— that turns these often complex and expensive techniques into a simple and intuitive solution for busy owners on a budget? Are you a business start-up? Do you need to establish basic business systems and processes that enable you to impress customers right from the start? Are you anxious to become profitable in the shortest possible time? Is your company growing rapidly and causing you to lose control of operational details? Are you looking for the best way to manage expansion skillfully? Would upgrading business processes help you maintain high-quality products and services that keep customers happy and coming back for more? Finally, do you truly believe that effective business systems and processes are essential to your success? Do you have the will to commit time and resources, and to stick with it? Are you convinced that the financial benefits will far outweigh the costs, and that your result will be a superior business organization? If you answered “yes” to some of the above questions, then spending a few hundred dollars is a no-brainer to get the results you are looking for. 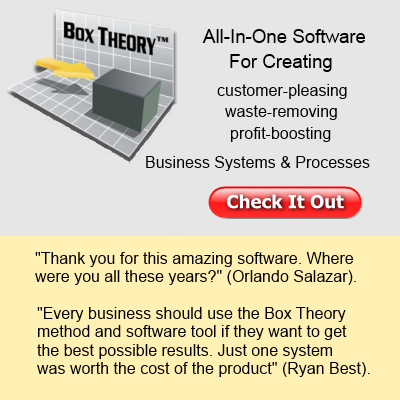 Yes, “Systems are the Solution.” And with a little effort, Box Theory™ Software can put thousands of dollars on your bottom line and into your pocket. Box Theory™ small-business software is as effective at building systems and processes as QuickBooks is at accounting. 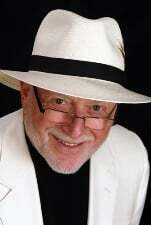 It will take your “E-myth” systems (Michael Gerber) to the next level. Box Theory™ Software will help you design, flowchart, organize, document, manage, store, and print everything pertaining to your business systems and processes. More importantly, the Box Theory™ methodology will guide your thinking to build a business in the proper way. What could be better than a powerful software system for developing and maintaining your business systems?! Learn how the experts perform this most fundamental of all business tasks. I call it the Master Skill, and Box Theory™ Software is the best and only tool of its kind to do the job! If you think this product is a good fit for your organization, start now to build growth-producing, customer-pleasing, waste-removing, profit-generating business systems and processes that will blow your competition away! AND REMEMBER, There is a no-risk, iron-clad, money-back guarantee! Every day you wait is probably costing more than the software, so decide which version and price is right for you, and let's get going! Is Box Theory™ Gold Software Right for You? Is Box Theory™ Silver Software Right for You?